By default, apps do not have the permission to write data onto the external SD card in the Samsung Galaxy Tab 7.7. However, there is a hack that lets you accomplish that. It requires you to have a rooted Tab though. Want to root it? 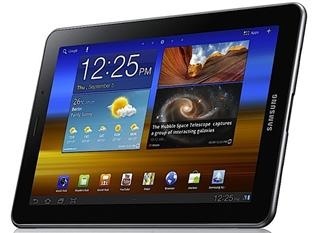 Make sure to read Galaxy tab 7.7 root guide to do. 1. Using a root-enabled file manager, navigate to /system/etc/permissions and make sure you have mounted the file system r/w. 5. Restart your Galaxy Tab.